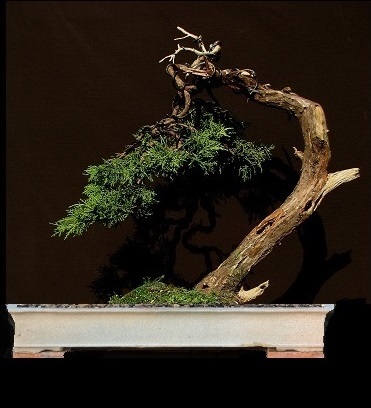 I have chosen the definite front for recently styled juniper. It has better overall movement. But since the tree was styled for the front that now became back of a tree, the crown will be edited a bit as time goes by and backbudding kicks in. 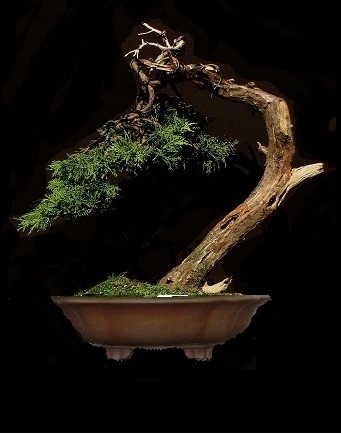 or more common flower or round pot that is frequently used by another penjing master Qingquan Zhao too, and nearly always for japanese literati bonsai. I like them both pretty much and can´t make up my mind.